Taylormade Golf says their new Ghost Spider S putter has a moment of inertia (MOI) more than 20% higher than their best previous high MOI mallet putter the Ghost Manta. Why is important you ask? Because the higher the MOI the more stable a putter is when the ball is struck off center and we all (at least on occasion) don’t strike every putt perfectly. 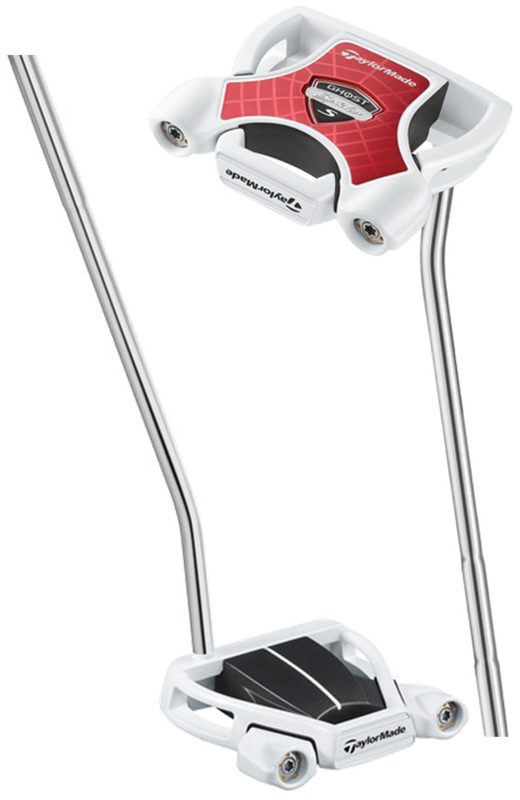 More stability means more consistency and control and more putts in the bottom of the cup. PGA Tour players were quick to put the new flat stick in their bags. The second week after TaylorMade’s tour staff players were introduced to the Ghost Spider S it was the No. 1 overall model with six in play including Jason Day, Y.E. Yang, Pat Perez, Rory Sabbatini, Spencer Levin and Peter Hanson. The Ghost Spider S standard model will be in shops November 1 with a SRP of $179 in standard length and $199 in a belly model while a Ghost Spider S “short slant” hosel will hit the market a month later.